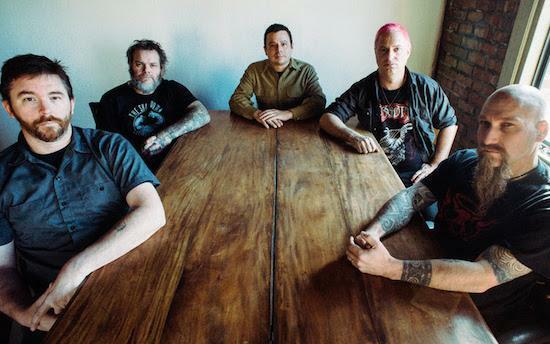 Neurosis are set to headline next year's edition of Supersonic festival. They're the first act to be announced for what will be the Birmingham event's 15th edition, which is set to run from July 19-21. "It's been a long time coming, but finally Neurosis is teaming up with the folks at Supersonic for a special event in Birmingham, a holy land for heavy music," said the group's Steve Von Till. "We have known Supersonic to be kindred spirits since we first met years ago to discuss our mutual commitment to supporting independent, emotionally intense artists. Their line-up over the years has mirrored our own appreciation for eclectic sound with a depth of spirit and passion, creating a platform for some of the most interesting and inspired artists around. This is not to be missed." Next year's festival is also set to run in coordination with a 'Home Of Metal' exhibition, which will celebrate the work of Black Sabbath. Portraits from the 'Home Of Metal' Black Sabbath fan archive, historical photos and various forms of memorabilia are promised as features of the exhibition. Weekend tickets for next year's Supersonic are now on sale and can be found here alongside further information on the festival. Further line-up announcements are set to follow in the new year.